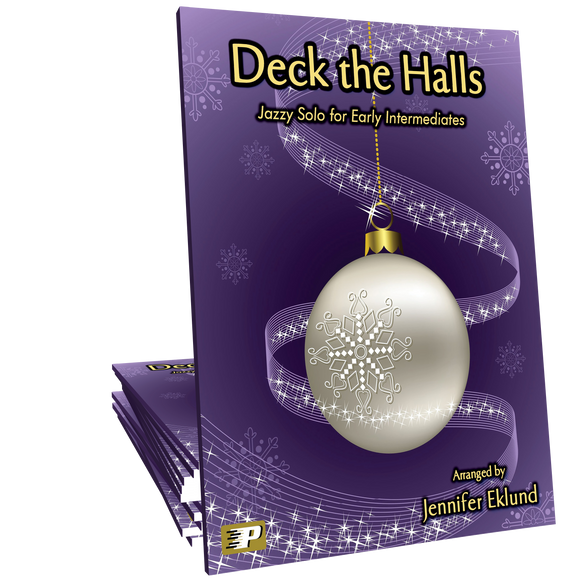 Deck the Halls is a jazzy version of the traditional classic holiday carol combined with “Lo, How a Rose E’er Blooming.” Rich harmonies make this hand-friendly arrangement a hit for early intermediates of all ages. So gorgeous! Its a great way to introduce students to lesser known carol and is stunning version of Deck the Halls. This arrangement of these two songs is a real winner. There is a rich, full sound with lovely jazz chords. The key change in the middle, too, is wonderful for instruction and helping the student to feel accomplished. This piece is such a smooth rendition of Deck the Halls! I can't wait to play it over the holidays for family and friends. The chord progressions are outstanding. This gets a big thumbs up and five stars from me!